Welcome to February's edition of Spa Voice . . . 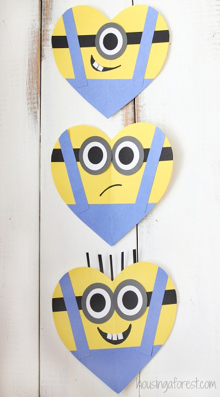 It's the month of love, hearts and flowers! So in this months edition of Spa Voice we focus on how you can maximise on the romantic sentiments of the season to the benefit of your bottom line and how you can augment your UKSA membership with our new ACTIVE SPA membership (and by doing so, help your clients to keep their own hearts healthy through your combined in-house fitness offering). We also look again at the health and wellbeing of our spa therapists, and offer more tips on how you can show them a bit more love in your own business. As always, we also have details of lots of industry events coming up over the next few months - including our own first networking event of the year to be held at Rudding Park, Harrogate and some other exciting new-comers to add into the annual calendar. And like the roses that are synonymous with Valentines Day, I hope you continue to see your own business bloom throughout this month as well! Click to watch the video . . .
Wellness Collective Events is a new breed of luxury networking excellence that puts the wellness of all its guests at the heart of its events. 24 – 27 April 2019, sees the first European networking event launch at the Verdura Hotel & Spa Resort in Sicily, where guests have constant access to the site spa and fitness facilities and they can also take part in daily scheduled activities from meditation and yoga on the beach, to running groups through Sicily’s renowned olive and lemon groves and much more. The four-day event seeks to create an environment that gives attendees the time and space they need to properly un-wind, miles away from the pressures of the office so that they can take a step back to work ‘on’ their business rather than ‘in’ their business. Operators can expect plenty of opportunity to network with peers and keep up with the latest spa specialist brands and trends, while at the same time developing new and practical skills learning through the dynamic and interactive ‘Hot Seat Symposiums’, which feature some of the most prestigious and influential people from the industry – and some exciting brand-new faces too! Operators can rest assured that they will leave this event with new skills and knowledge that will positively impact their bottom line. Product brands and suppliers can expect to meet spa managers and directors who have been hand-picked to ensure they have budget to spend and authority to spend it. Exclusive Media partner European Spa Magazine will add further prestige through the co-hosting of a Champagne Lunch, Gala Dinner, and the brand-new Icon Awards. By bringing together the most senior and influential spa and wellness professionals in the industry under one stunning roof for four days, Wellness Collective Events aim to provide the perfect platform for big discussion, big ideas, collaboration and positive collective change, in order to help the industry, grow profitably while meeting increasing public demand for self-care and wellness. Don’t just take our word for it though. 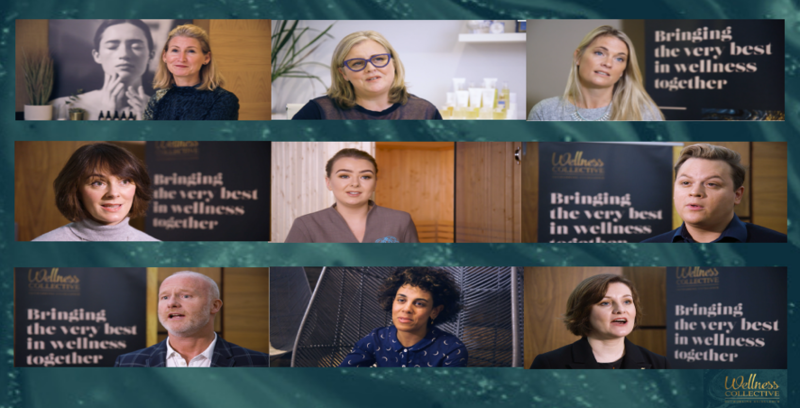 Why not grab a cuppa, sit back, and view the video here to see what others in the industry are saying about the European Wellness Collective Networking event, Sicily, April 2019. Have You got Your Therapists Back? The Spa and Wellness industry has exploded tenfold over the last few years with more and more sites being built almost every month, not only in the UK but worldwide. There is an abundance of beauty products coming onto the market along with a plethora of new and innovative treatments which sees everyone clambering to get the next great beauty tip, treatment and products. With this in mind one of the most fundamental asset to any spa and beauty business is your Therapists, without them there would not be a spa or beauty industry; but yet still their health and wellbeing are often forgotten. They may end up working long hours with very little breaks, carrying out treatments and using products that can . .
Hello February! 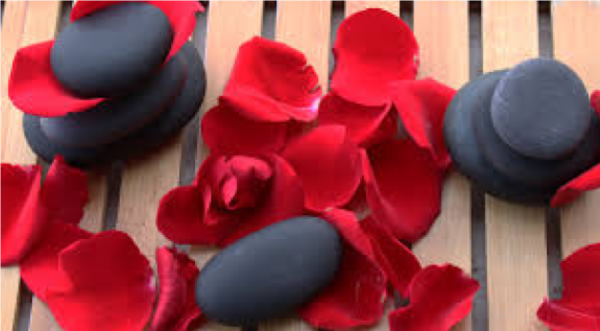 With this month comes Valentine’s day and a perfect time for us to focus our spa treats on couple’s visits, or luxury gifts for her. If you have a double treatment room, it’s time for couple’s massages to enjoy side by side. To add a little indulgence to a couple’s spa treat, adding chocolate covered strawberries, or a cream tea is a perfect addition. Creating bespoke treatments is also a good way to boost service revenue and visitor numbers . . 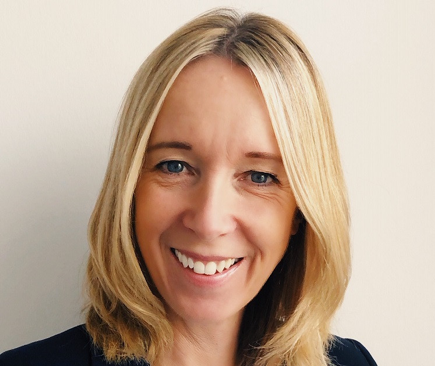 When it was announced at the Spa Life UK Convention in November that a new Active Spa membership with the UK Spa Association and ukactive was being launched, the overriding response from spa operators was a call for a more joined-up conversation. And that’s exactly the response we needed – confirming this partnership is the way forward for all operators looking to provide a complete wellness offering. Wellness and what it means is discussed at every turn within both the spa and fitness sectors. Reading a trade spa publication recently, I counted at least four articles covering 360˚ wellness: what it meant, what it included and who was competently delivering it. According to spa professionals well versed in what 360˚ wellness should look like, some overseas resorts are delivering just that – a total wellness package that incorporates emotional health, physical activity and relaxation. Yet here in the UK we are some way behind. Our bodies have been designed to move! Functional body movements which allow us to walk, to climb, to pick things up are integral to our day. Inactivity (even sedentary in blocks) can affect our daily functional movements. We are doing less for longer periods of the day. The computer job and office based work which began in the 80’s has now meant that a high percentage of the population who has stayed with an office based job, has almost been sitting for 8 hours a day/ 5 days per week for 40 years! In this time, we have had an increase of obesity, diabetes and inflammation (pain) from repetitive strain injuries, from lower back pain (causing a weak core sitting at a desk for long periods of the day), “computer slump” shoulders from arching your back at your desk, overused hip flexors (shortening), not to mention other serious illnesses linked to inactivity. A daily routine or repetitive habits are sustained for long periods of the day, this becomes a lifestyle, which unfortunately has been subconsciously forced upon us. Workplace wellness is a key topic on the Global Wellness agenda. Research strongly suggests that work life inactivity health imbalance has caused the decline of our activity levels, leading to a more sedentary lifestyle. As with anything in life, we are determined by what we do. If we sit more than we are active then we are sedentary. However, there is good news! People are becoming more and more aware of the sedentary lifestyle and are actively participating in more exercise. The last 5-10 years have seen a huge gym participation growth. This is great to see; however, we are finding that this not exactly solving the problem. Increasing activity is great, however it’s for 1-1.30 hours/ 3-5days per week when not moving for long periods of the day, has seen an increase in injuries and ‘faddy” training habits. 1) Wake up stretch. The transition from sleep to activity, can be the most difficult to manage. One way to is to practice sun salutations after you get out of bed in the morning. It’s a great way to kick start your metabolism and aid digestion. It is also a mentally stimulating way to begin the day. Click to watch video . . .
2) Pre-work gym/home training session. 20minute resistance band workout which can be done at the gym or at home. You may want to alternate that with a morning jog or stretch session. Practicing functional body challenges, such as “getting off the floor”. Click below for points 3 to 10 of How to integrate exercise in to your day . . The World Spa & Wellness Convention will return to ExCeL London in just 5 weeks and there’s still time for you to redeem your 20% discount on your delegate pass. Unique in Europe, the World Spa & Wellness Convention is a leading spa industry networking event for senior management, with a global following and attracting an audience of over 300 senior professionals. This strategy-focused event brings you the figures, content and contacts needed to stay competitive. To book your discounted delegate pass click ‘Book Your Place Now’ below and select ‘yes’ when asked ‘do you have a discount code?’. Your discount will be automatically applied. World Spa & Wellness Convention 24th & 25th February 2019 (London Excel) For groups of 3 or more please contact Mark Maloney on mark@professioanalbeauty.co.uk to secure your exclusive UK Spa Association discount to attend. NEW for 2019, Salon Life to be announced very soon! A Note From The Chair . . .
“When surveying our members in 2018, we found one of the most interesting aspects was the dedication and devotion to our Spa Line concept. It's really an amazing part of the business support provided by the UK Spa Association, whereby we provide the backbone for the industry and provide answers when no one else can. The overall fragmentation of our industry means it can be incredibly hard to provide support on a day by day basis or to receive it. Being part of something tangible, a wider network of business professionals is critical and success often depends on it. If you haven’t already, make sure you check out our new look website here to find out more about our strategic priorities.